I want to share one of my notes from Coaching U Live 2014 - Las Vegas. Though I'm an offensive minded coach I enjoyed listening to Dwayne Casey, Head Coach of the Toronto Raptors. He spoke on zone defense - his match -up zone system. 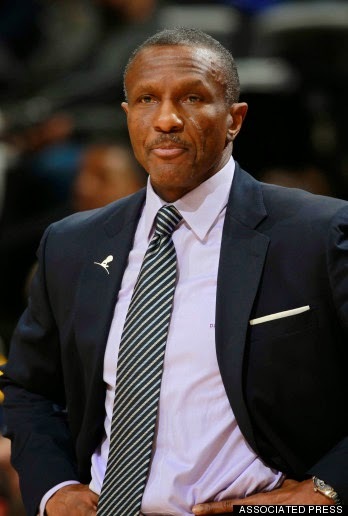 I believe Dwayne Casey is a very underrated coach who is doing a terrific job with the Raptors. 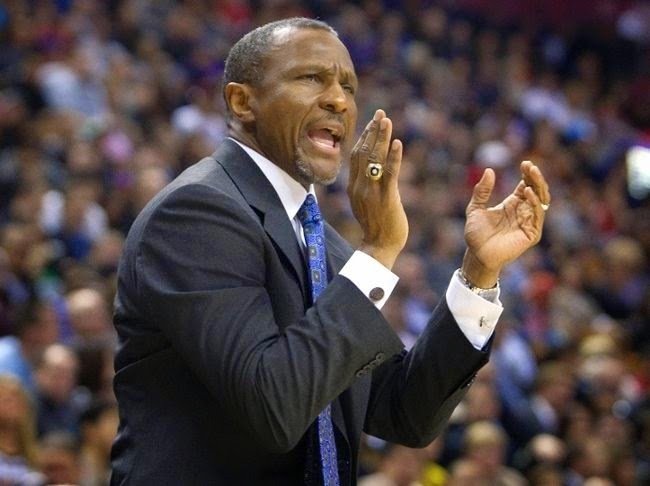 He did wonders with undermanned Minnesota Timberwolves team and as an assistant in Dallas, Coach Casey is largely credited with creating the defensive identity for the Mavericks during their championship run in 2011. Coach Casey is a coach you don't hear a lot about regarding his coaching philosophy and systems, so I wanted to share with you some keys to his zone defense as well as few pearls of wisdom - Coach Casey's Seven Principles. Heels of your #1 & #2 on the 3-point line. 3/4 defense of the post. Zone is broken down into "rooms"
Chart multiple stops. For example…a team should want seven 3-stop sequences. 1.) Get them in a stance. 2.) Get them to see and anticipate. 3.) Get them to enjoy contact - hit first…flesh to flesh contact. 6.) Act it up. Be an actor - sell the foul…sell the pump fake. 7.) Finish, finish, finish - finish the play…finish the drill.